Portumna is a medium sized town in County Galway on the border with County Tipperary. You can find just about anything you might need in this town and there are many fine pubs and restaurants. The harbour on Lough Derg is at the boundary of Portumna forest park, 1500 acres of parkland with rich natural flora and fauna. 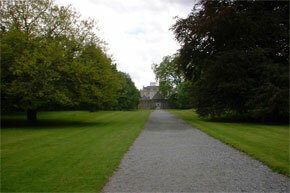 The name Portumna is derived from the Gaelic ‘Port Omna’ which means the crossing of the tree trunk. The Castle and estate in Portumna were originally owned by the Clanricard family, who were descendants of the de Burghs of Normandy granted extensive lands in Connaught in the thirteenth century. The castle was originally built in the seventeenth century by the fourth earl and was tested in the confederacy wars in 1651. 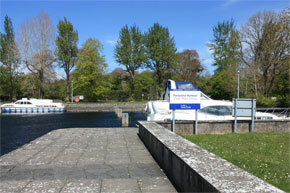 Angling on Lough Derg requires local club membership, available at the local tackle shop. 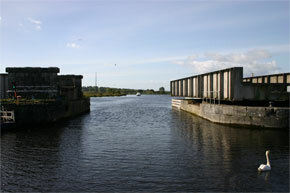 There are some good bays around the town, and good bream and rudd fishing in the Shannon. Pike is also available, the best months are March to May, and October. Portumna Castle was originally built in 1620, and is considered to be of major architectural importance as it represented a transition between vertical tower houses and later manor houses. The Castle is open to the public. The forest park in Portumna covers some 1500 acres, and is home to an abundance of flora and fauna, including red deer, pine martens and otters. 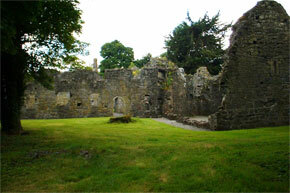 There is also an interesting nature trail, and the ruins of and old Dominican priory can be found here.